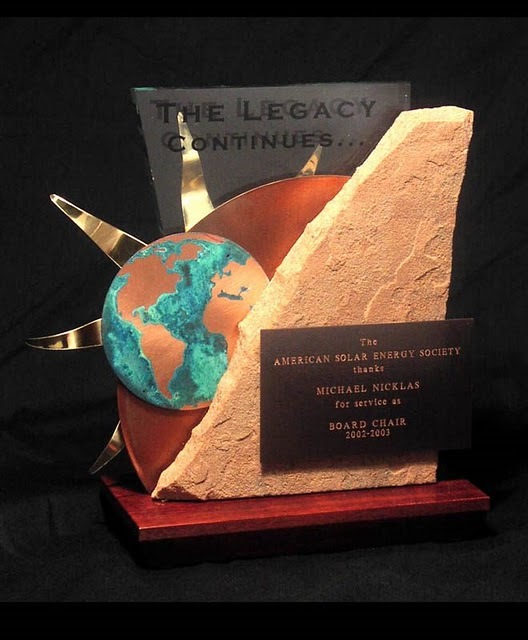 John Haertling founded Haertling Awards in 1988 with this idea; to use locally collected, recycled materials to make distinctive awards and gifts, and, through these products, to show the innovative and artistic use of recycled, reclaimed and reused materials. By partnering with local and regional recycling companies, stone suppliers, and manufacturers, John has formed a "Green Sustainable Supply Chain". John invites you to be a part of this effort.